Here are some of the highlights along with a few access details on the properties. Get 40% off rooms on select dates from November 2018 to April 2019, at this comfortable lodge, which is located 18 miles southwest of the West Entrance to Glacier National Park. Built in 2016, Cedar Creek Lodge has six accessible rooms, including one with a roll-in shower. 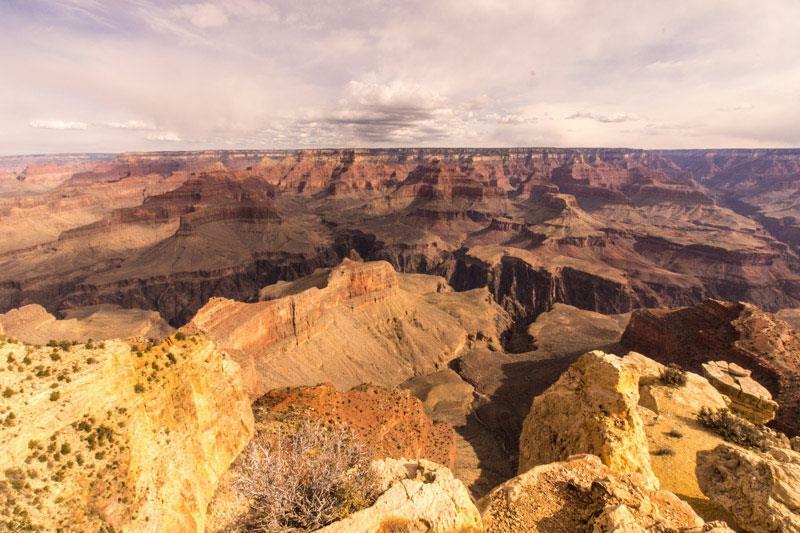 Get 50 percent off round-trip train excursions from Williams to the Grand Canyon South Rim, and two nights lodging at the Grand Canyon Railway Hotel on select dates between November 2018 and February 2019. The Grand Canyon Railway features lift boarding in coach, pullman and first class; while the Grand Canyon Railway Hotel offers a number of accessible rooms and suites that have a roll-in shower or a tub/shower combination. Get up to 40 percent off these South Rim properties for stays between November 2018 and February 2019. Located a short ride from the rim on the accessible park shuttle, Maswik North has 10 wheelchair-accessible rooms that are equipped with a roll-in shower or a tub/shower combination. Located on the canyon rim, Thunderbird Lodge has three wheelchair-accessible rooms, which are equipped with a roll-in shower or a tub/shower combination. 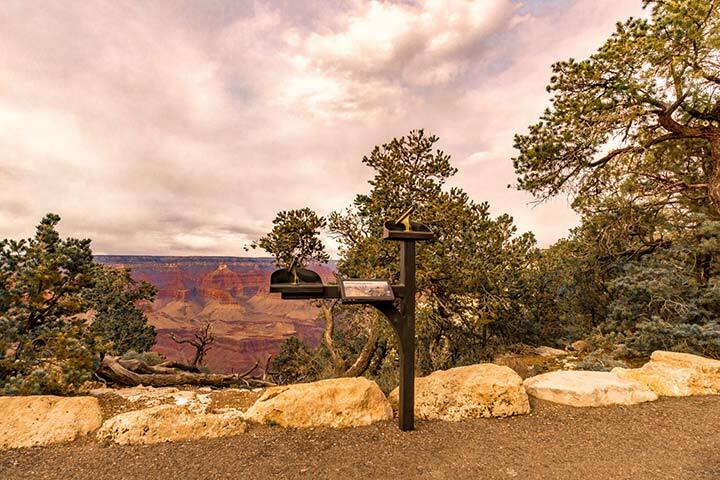 It’s also the only property in the park that has wheelchair-accessible rooms with canyon views. Also located on the rim, this property offers two wheelchair-accessible rooms, both of which have tub/shower combinations. The crown jewel of the South Rim, this historic property — which is also located on the rim — features two wheelchair-accessible rooms, both of which have tub/shower combinations. Get 30 percent off daily rates on select dates between December 2018 and March 2019. This AAA Three Diamond property, which is located just a mile from the South Entrance to Grand Canyon National Park, features seven accessible rooms equipped with either a roll-in shower or a tub/shower combination. Get 33 percent off regular rates at this recently renovated property, for stays between December 2018 and February 2019. This AAA Four Diamond property features a spacious accessible room with a roll-in shower. Get 30 percent off room rates on select dates in April and May 2019. 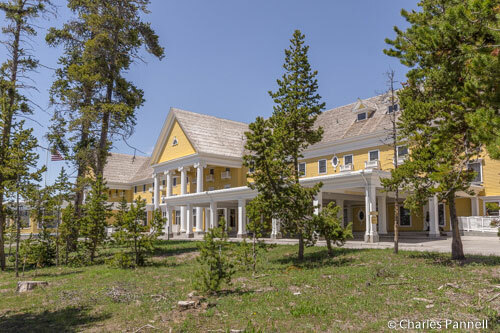 The newest lodge in the park, Old Faithful Snow Lodge has five accessible rooms equipped with roll-in showers, and an accessible cabin with a tub/shower combination. Get 30 percent off rooms at this popular property on select dates in May 2019. This lakeshore hotel, which dates back to 1891, underwent a massive renovation in 2014. It has 18 accessible rooms and cabins, 7 of which have roll-in showers. Save 30 percent on overnight stays on select dates between December 2018 and February 2019. This historic property, which dates back to 1920, is the only in-park lodging. It features five wheelchair-accessible rooms with a roll-in shower or a tub/shower combination, plus an accessible cabin with a roll-in shower. So mark your calendar to log on and take advantage of these money-saving deals on Monday November 26, 2018. You won’t be sorry! For more information about wheelchair-accessible sights, itineraries and lodging options in these and other national parks, visit www.BarrierFreeNationalParks.com . 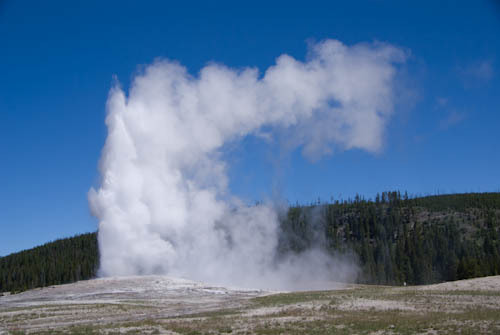 This entry was posted in Lodging and tagged Arizona, glacier, Grand Canyon, lodge, Montana, national park, sale, Utah, Wyoming, Xanterra, Yellowstone, Zion by Candy B. Harrington. Bookmark the permalink.